What is Tikkun Leil Shevii? According to a flyer at my local Moroccan shul, it takes place the last night of Passover after the meal. I've never heard of it before. What is done during this session? The seventh day of Pesah is associated in rabbinic literature with the splitting of the sea (for example, Rashi on Exodus 14:5 s.v. vayyuggad lemelekh mitzrayim writes that "on the fifth and sixth days they chased after them, and the night of the seventh they entered the sea, and in the morning uttered song, namely the seventh day of Pesah, and thus we sing the Song [of the Sea] on the seventh day"). Cf. the notes here, here, here, and even here. Tiqqun Leil Shevi'i is a qabbalistic custom arising from this tradition to celebrate Israel's deliverance, and to acknowledge the end of the holiday in a manner similar to how Hosha'na Rabba / Shemini Atzeret closes the holiday of Sukkot (and in fact one finds books with the liturgy for Shevi'i shel Pesah, Hosha'na Rabba, and Leil Shavu'ot all joined in one volume). As for the ceremony itself, I would assume it differs from community to community. Chabad.org notes opaquely that "It is customary to remain awake on the eve of the Seventh of Passover (i.e., tonight) and spend the entire night in Torah study and joyous celebration of the great miracle of the splitting of the sea." I would expect the study of particular biblical and rabbinic texts and the singing of piyyutim and of the Song of the Sea itself. In terms of the origins of this custom, there was a helpful discussion on H-Judaic in 2011 about this (starting here) and I'll just repeat the citations that more intelligent people brought there: it is mentioned in Vital's Sha'ar haKavanot [Gate of Intentions], Derushei Pesah 12, and it's also mentioned by Avraham Galanti. 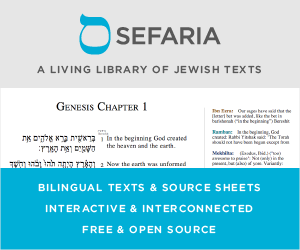 A full arrangement of the texts to be recited is given in Hemdat Yamim — the suspected Sabbatean nature of this book, apparently, contributed to the neglect of this custom. You can read it in Hebrew here (in particular, the part entitled סדר לימוד לליל שביעי של פסח אחר חצות). Sidrei Tiqqunim: Tiqqun Leil Shevi'i shel Pesah, Yaakov David Wilhelm, in Alei Ayyin: minhat devarim liShlomo Salman Schocken, 1952, pp. 143-145. There is also this article by Yehuda Liebes on the sod [secret] of Shevi'i shel Pesah in the writings of the ARI, and this article by Yitzchak Ginsburg which I would take with a lot of salt. That was probably more than you wanted to know but I hope some of it was useful. Not the answer you're looking for? Browse other questions tagged passover evening-night . Why do we call the Festival of Matzos “Passover”? Would leavened bread made from matzo meal be kosher for Passover?